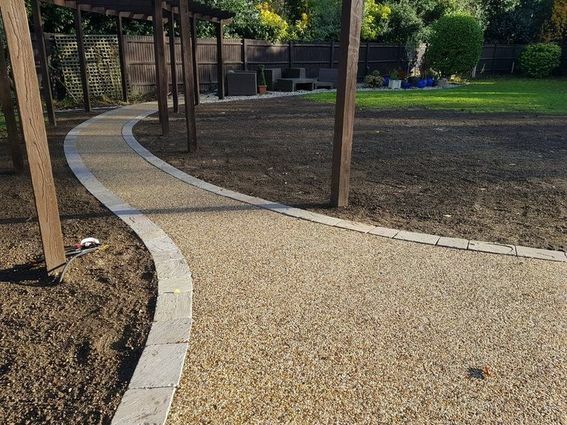 As well as block paved driveways and gravel driveways we also offer our clients a resin bound (or resin bonded) driveway installation service throughout Essex. Resin bound gravel provides an ultra low maintenance surfacing option for your driveway, path or patio area. One of the major advantages of resin bound surfacing is that our installation system is 100% permeable, removing the need to install potentially costly drainage systems such as linear drains and soakaways, making your driveway fully compliant with the latest SUDS regulations. 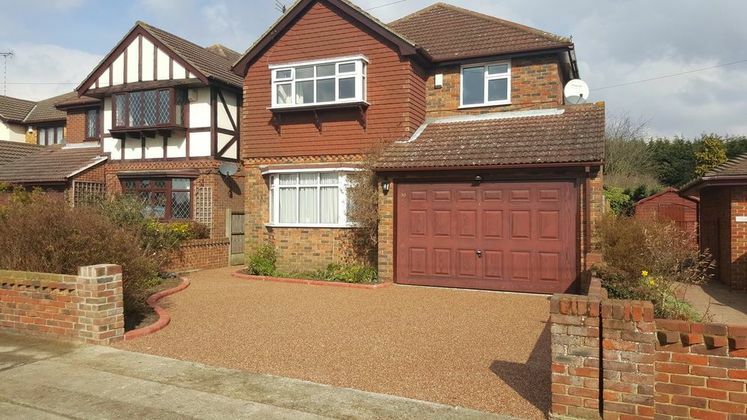 Resin bound gravel can give your home serious kerb appeal and add significant value to your property. There is a wide range of colours, styles, textures and shapes of gravel to choose from that will match your the surroundings of your home. 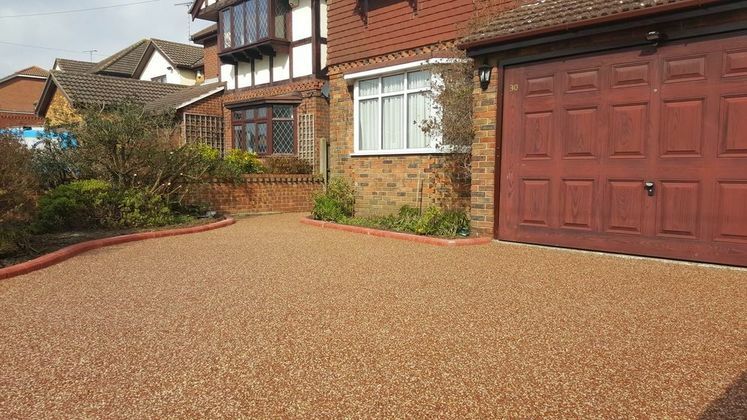 A resin bound driveway system can often be a cost effective choice for your driveway or path. Often, existing surfaces such as concrete and asphalt are suitable to install resin bound gravel on top of. This drastically reduces the cost of install as it removes the need to excavate the existing surface and install a new sub base system. What are the advantages of Resin Bound Driveways? Dramatically enhances the appearance of your home. Provides safe off road parking. Can sometimes be installed to existing surfacing, removing the need to install a new sub base. As a Marshalls Approved Landscape & Paving Contractor, our work is regularly vetted to ensure it remains at the highest standard. We are a multi-award winning driveway installer in Essex, winning awards at both the 2013 & 2017 Marshalls award ceremony in recognition our hard work, attention to detail and outstanding customer service. For your free site consultation for a resin bound driveway in Essex, call us today on 01245 807180.